I had almost forgotten about seeing Tanlines perform in September! It must've been those boozy slushys that Holocene was serving up that night, almost two months ago. I was attending one of the many events for Musicfest NW, where the Brooklyn-based duo performed as headliners at the Portland indie music venue. What a treat to see Tanlines in person. You never quite know what you're going to get when it's just two guys and electronic music. Could be some laptops and Abelton or it could be an elaborately awesome live show that had the entire crowd shaking for what seemed like hours - which was actually more like 30 or 40 minutes. In drunk-slushy dance mode, time kind of slows down. 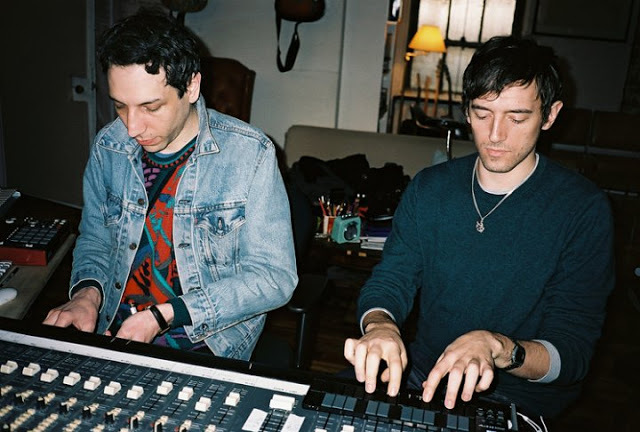 The hype machine for Tanlines shows no signs of slowing down. Recently, Christina Applegate's character on NBC's new hit sitcom "Up All Night" tossed a nod their way when she proclaimed that "All Of Me was her jam!" Pretty great for a group who only just released their first full length earlier this year. This upcoming December, they'll be performing alongside artists like Lou Reed, Animal Collective, Peter Murphy, Kanye West and more at the UR1 Festival, a brand new music bonanza in Miami, FL. I might just have to take a trip down to Florida for the holidays this year. Just don't tell my parents I'm only really coming down for the UR 1 Festival!